Genealogy of the ShÃ´ Lineage: The Nakayama Family Line. Translation and notes by Ben Kobashigawa and Yoko Fukumura. San Francisco: Kay Matsuda (private publication). “Hideo, the Artist’s Life and Work.” Hideo Kobashigawa, A Retrospective: A Kibei Nisei Artist’s Life and Dream. Exhibit catalog. Okinawa. Supplement to the Karl G. Yoneda Papers [catalog]. Japanese American Research Project Collection, Special Collections, University Research Library, University of California at Los Angeles. 2000 July 31. “Demographic Analysis of the San Francisco Bay Area Nikkei Population Part I and II.” San Francisco Japantown Planning, Preservation and Development Task Force. May 28 (Part I) and July 12 (Part II), August 1999. "The Case for Class: Introduction to Political Economy of Asian American Communities in the San Francisco Bay Area." Teaching Asian America: Diversity and the Problem of Community. Ed. 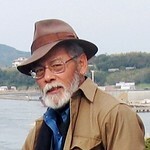 Lane Ryo Hirabayashi. Lanham, MD: Rowman & Littlefield Publishers. "Okinawan Issei Identity: Pride and Shame among the Early Immigrants." Reflections on the Okinawan Experience: Essays Commemorating 100 Years of Okinawan Immigration. Ed. Ronald Y. Nakasone. Fremont, CA: Dharma Cloud Publishers. Genealogy of the Surname “So” Family (From Kengi the Founder): The Okushima Family Line, an annotated text by Yabu KenjirÃ´. Trans. with supplementary notes by Ben Kobashigawa and Yoko Fukumura. San Francisco: Miyuki Yasui (private publication). "The Okinawan Immigrant Left in the United States Before World War Two." Contacts between Cultures, Eastern Asia: History and Social Sciences. Vol. 4. Queenston, Ontario: Edwin Mellen Press. History of the Okinawans in North America, by The Okinawa Club of America. Trans. with an Introduction by Ben Kobashigawa. Los Angeles: Asian American Studies Center, UCLA and The Okinawa Club of North America. Karl. G. Yoneda Papers [annotated catalog]. Japanese American Research Project Collection, Special Collections, University Research Library, University of California at Los Angeles. "On the 'History of Okinawans in America.'" Amerasia 12.2 (1985-86): 29-42. Imin no Aiwa [Sad Tale of an Immigrant], by Kochi Shinsei. Trans. with an Introduction by Ben Kobashigawa. Los Angeles: The Okinawan Community. with S.E. Berki. “Alternative Regression Approaches to the Analysis of Medical Care Survey Data.” Medical Care 15:5 (May 1977). with S.E. Berki. “Socioeconomic and Need Determinants of Ambulatory Care Use: Path Analysis of the 1970 Health Interview Survey Data.” Medical Care 14:5 (May 1976).